We can help you protect your home with door security products that can keep people out of your home. One of the product lines we sell and install is Armor Concept’s line of security door jambs. Watch the video below to see how installation of their products can enhance your home’s security. 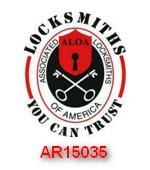 Call us today and we can evaluate your door security needs and recommend the right product from the dozens of manufacturers we represent. Door Jamb Armor Put To Test On Memphis News from Armor Concepts.